Yadav said in a statement that in his long political career he has never seen such an atmosphere as he had seen in 2014 and now. 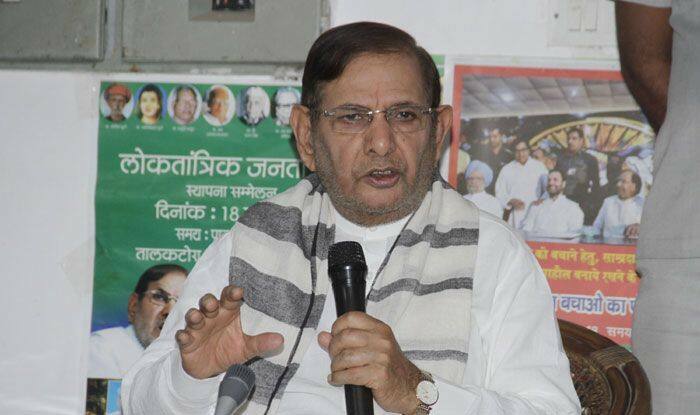 Accusing the BJP of not fulfilling any of its big promises made during the 2014 Lok Sabha polls, opposition leader Sharad Yadav on Tuesday described the ruling party’s manifesto for the upcoming election as another “shower of promises” and asked people to reject the party. “I appeal to people to reject the BJP. It does not know as to how to rule the country. It has rather created an atmosphere of hatred across the country and is badly damaging the economy,” he said. “In the manifesto of 2019 no mention has been made of non-fulfilment of these promises and it has now made 75 more promises,” he said, describing it as “ridiculous”.